Fasting therapy, as advocated by Naturopathy, is an all-natural road to excellent health and overall wellness. Fasting gives digestive organs ample time to restore health and regain the efficiency that has been disturbed with modern-day eating habits. Sedentary lifestyles and unhealthy food choices can be blamed for landing us in clinics more often than we would like. While medicines can provide temporary relief, natural fasting therapy is a proven method to detox naturally while improving immunity and physical, psychological and sensory wellness for the long run. 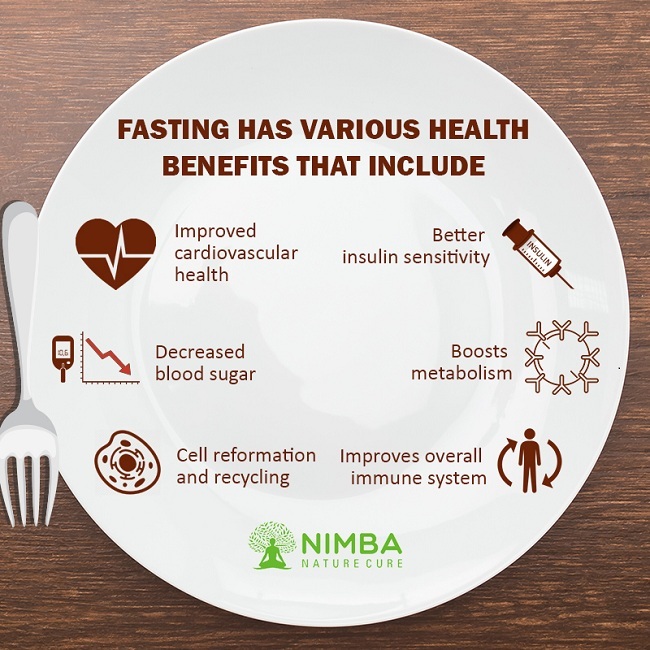 Fasting has various health benefits that include improved cardiovascular health, better insulin sensitivity, decreased blood sugar, cell reformation and recycling, detoxification etc. fasting stimulates protective mechanisms of your body and encourages you to lead a healthier, fuller, happier life. It also helps you to better assess hunger levels and portion sizes that play a vital role in determining your health in the later stages of life. Fasting, in a way, enables you to listen to the needs of your body and make healthy choices to ensure longevity and good health. The one suitable for your body from the numerous types of fasting in naturopathy can be determined after due consideration to a lot of deciding factors like age, lifestyle, nature of illness etc. Fasting for seasonal allergies provides great relief in combating illnesses that arrive with changes in weather in addition to fighting digestive disorders like gas formation and indigestion. Increases insulin sensitivity and improves glucose tolerance. Removes poisons and toxic matter from blood-stream thus purifying the system. Rests vital organs giving them time to restore functionality and regain lost health. Improves overall immunity and brings inner peace and calm. Boosts metabolism, reduces fat layers and aids in weight loss. 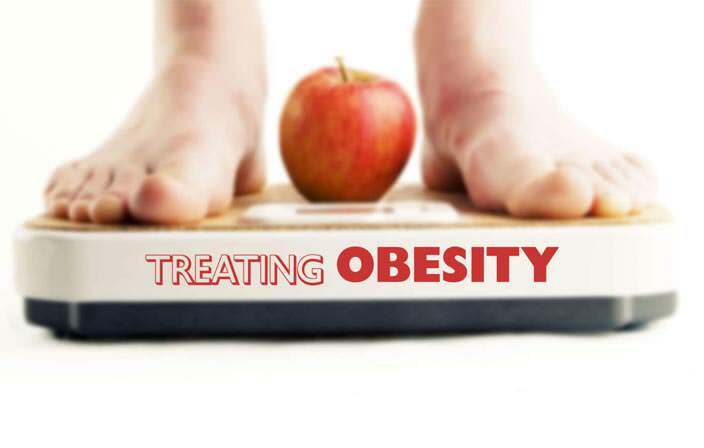 Weight loss is not the sole aim or outcome of fasting. Fasting therapy mainly aims at eliminating toxins from the body and improving the functioning of various body organs. Therapeutic fasting and detoxification, when done under the guidance of a naturopathic physician ensure you stay active even during the period of fasting and do not suffer from weakness. Fasting does not equal starvation. 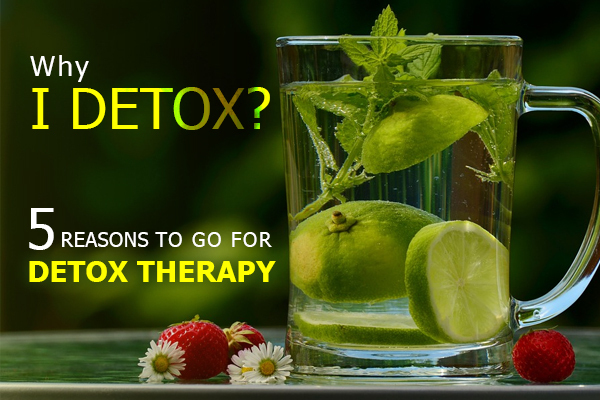 Fasting therapy for cleansing and detoxification is carried out under the guidance and observation of physicians insightful of how to do fasting in naturopathy. 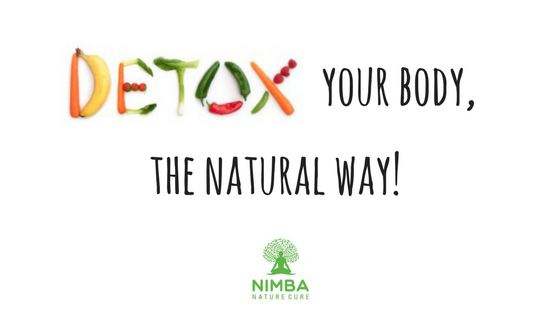 Nimba Nature Cure Village is home to experience naturopathic physicians as well as practitioners who guide through the process of therapeutic fasting and detoxification towards a healthy future. To reap maximum benefits it is advisable to practice under the supervision of experts who know how to do fasting in naturopathy. Make a healthy choice by inquiring about our health retreat services today.